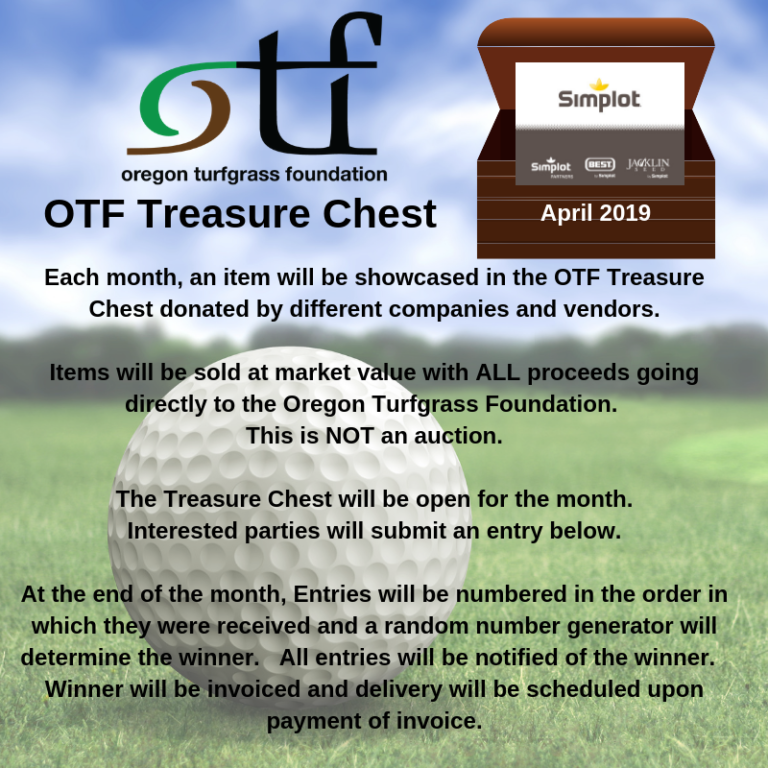 SECTION 1: The name of the non-profit corporation shall be the OREGON GOLF COURSE SUPERINTENDENTS ASSOCIATION. SECTION 2: The principal office of the organization shall be the office of the Treasurer or at such a location as shall be selected by the Board of Directors. The Board of Directors shall approve applicants for membership. The Board of Directors shall be the sole judge of an applicant’s qualification for membership. The Board of Directors shall have the authority to establish qualifications, privileges and dues for all classes of membership. 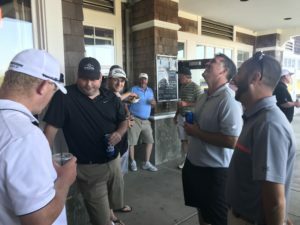 Effective July 1, 1997, each applicant for Class A or Class B membership must present an application for membership or evidence of membership with the Golf Course Superintendents Association of America and shall maintain such membership thereafter. Voting members may exercise their vote through the use of a mail-in ballot. A mail-in ballot may be exercised only by the person named in such a mail-in ballot, who must be a voting member in good standing of the Association. Mail-in ballots may be utilized only to vote on amendments of the Articles of Incorporation and Bylaws; and election of Officers and Directors. 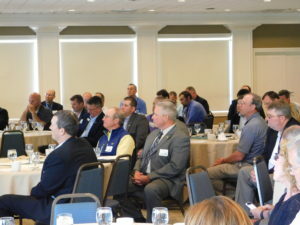 Class AA—Life Members: To qualify for Life Membership, one must have retired as a golf course superintendent or assistant golf course superintendent and have been a golf course superintendent or assistant golf course superintendent member of GCSAA for 25 years of which a minimum of 20 years has been as a golf course superintendent. A life Member shall have all the rights and privileges of the Association except that of holding office. Class AA-Life Members will pay no membership dues. 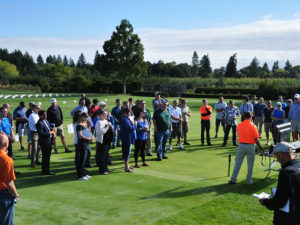 Class A—Golf Course Superintendent: To qualify for Class A membership, an applicant shall have, at the time of application for membership, at least three (3) years’ experience as a golf course superintendent, be employed in such capacity and comply with all additional qualifications adopted by the membership. Class A Members shall have all the privileges of the Association including voting and holding office. 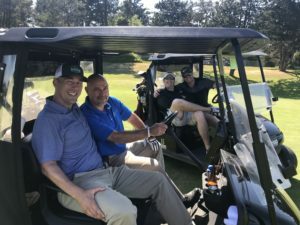 Class B—Golf Course Superintendent: To qualify for Class B membership, an applicant shall, at the time of application, be employed as a golf course superintendent and does not meet the additional qualifications for Class A membership. Superintendent Members shall have all the privileges of the Association including voting and holding office. Class C—Assistant Golf Course Superintendent: To qualify for Class C Membership, an applicant shall be, at the time of application for membership, an assistant to a golf course superintendent, and shall be presently employed in such capacity. Class C Members shall have all the privileges of the Association, except that of holding office. 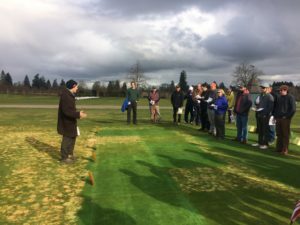 Associate: To qualify for Associate Membership, an applicant must be an individual interested in golf course management and/or growing or production of fine turfgrass. Associate Members shall have such privileges of the Association as the Board of Directors may specify by Standing Rules, except those of voting and holding office. 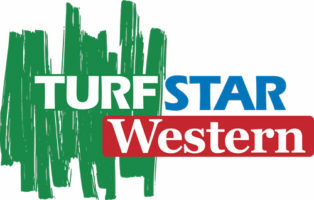 Affiliate: To qualify for Affiliate Membership, an applicant must be an individual, business firm or governmental body interested in golf course and/or in the growing or production of fine turfgrass, either or through employment by, or other affiliation with a company, proprietorship or association, and who does not qualify for membership in another class. Affiliate members shall have such privileges of the Association, as the Board of Directors may specify by Standing Rules, except that of holding office. Affiliate members may vote for one (1) Affiliate Member each year to serve on the Board of Directors. Honorary: To qualify for Honorary Membership the individual must be recognized annually by the Board of Directors for contributing in an outstanding manner to this Association or profession or related field. This membership shall continue in effect unless otherwise revoked by the Board of Directors. Honorary Members shall not be required to pay dues or assessments of the Association and shall have such privileges of the Association as the Board of Directors may specify by Standing Rules, except those of voting and holding office. Retired: Any member reaching age fifty-five (55), who is retired and no longer seeking employment within the scope of activities of any membership class of the Association, may apply to the Board of directors in writing for Retired Membership. A Retired Member shall have all the privileges of the Association afforded the member in his or her previous classification, with the exception of holding office. All reclassifications of members shall be made by the Board of Directors, in accordance with Standing Rules adopted by it from time to time, or pursuant to directives adopted by the membership an any annual meeting or any special meeting called for that purpose. Voluntary Reclassification: Any individual member may request a change in his or her membership classification to accord with a change in his or her qualifications for membership as set forth in Section 3 of this Article. Mandatory Reclassification: All members, upon renewal of their annual membership, must clearly state their current employment status. 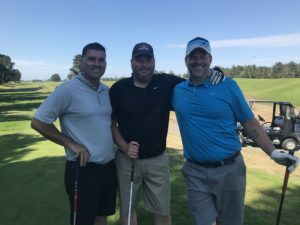 This statement of employment status shall be based upon the Association’s officially accepted job titles and golf course organization chart, or other commonly accepted listings of job titles. The Board of Directors shall, upon receipt of this statement, determine the appropriate class of membership for each individual and shall be empowered to alter the individual’s membership classification to properly reflect stated qualifications. Annual dues shall be such as determined by the Board of Directors. No dues shall be required for Class AA or Honorary Members. The membership shall be November 1 through October 31 of the following year. Dues shall be delinquent after February 1, at which time the delinquent member may be suspended by the Board of Directors. Dues may be changed by a vote of the Board of Directors. The expulsion of any member for valid reason shall be by three-fourths vote, by written ballot of all members at a special or regular meeting. A suspended member may reapply for membership, after a period of one (1) year by submitting a new application and payment of back dues and initiation dues. Such application must be approved by a majority vote of the Board of Directors. 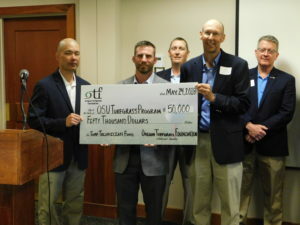 The Oregon Golf Course Superintendents Association is an organization that is projecting the professional image of its members. The members shall conform to reasonable appearance at all Association functions. A coat and tie are necessary at some meeting sites, however, sweater and slacks are acceptable. Absolutely no jeans or boots will be allowed. The Board of Directors shall have the authority to excuse any member from the activity for not conforming to this image enhancement. No member of the O.G.C.S.A. other than its Board of Directors, the Executive Director and Committees under supervision of the Board of Directors shall act as agent or representative of the O.G.C.S.A. without prior written authorization of the Board of Directors. Any member of the O.G.C.S.A. who acts in contravention of the provision of this Article Ill, section 8, shall indemnify and hold the O.G.C.S.A. harmless from any and all resultant liabilities and/or damages. The annual (election) meeting of this Association shall be held during the May meeting with the newly elected officers taking office following election. Special meetings of the members may be called by the President or Secretary or by written request of ten (l0) voting members in good standing. Such meetings must be preceded by at least ten (l0) days written notice to all members, mailed to the last recorded address of each member. Thirty (30) voting members present at any regularly scheduled or special meeting of this Association shall constitute a quorum, and in case there be less than this number the presiding officer may adjourn the meeting. All meetings of this Association shall be conducted in accordance with Roberts Rules of Order, Revised. 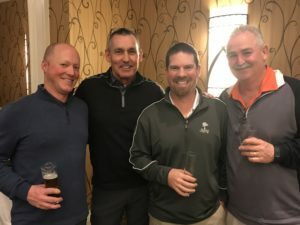 The Officers of this Association shall be a President, Vice President, Secretary, and Treasurer, all of whom shall be Class A or Class B members of the Golf Course Superintendents Association of America. The President and Vice President shall be elected by the voting members at the annual meetings by a majority written ballot vote, and shall assume office following the annual election meeting. The Secretary and Treasurer shall be appointed by the Board of Directors. No elected officer shall hold the same office for more than two (2) years in succession. The President shall preside at all regular, Board, and special meetings and shall perform the customary duties of President. He shall have general supervision of the affairs of the Association and have the power to call special meetings. He shall sign all contracts and documents in behalf of the Association. He shall appoint all committees and be ex-officio member of all standing committees. Should the President serve for a second year, it will be necessary to elect an additional director for one year to take the place of the retiring past president. The Vice President, in the absence of the President, shall preside at the meetings of the Association and of the Board of Directors and shall perform all duties pertaining to the President’s office. The Treasurer shall keep an accurate register of all member’s names and addresses. He shall be custodian of all funds, and may sign checks of the Association. He shall keep the association informed of financial standing. The Secretary shall keep a complete record of all meetings of the Association and of the Board of Directors. He shall be custodian of all contracts, minutes, books, reports, and all other papers for the Association. He shall also be the Association Historian. The Board of Directors shall consist of the President, Vice President, Treasurer, Secretary, the Immediate Past President, and six (6) additional elected members. 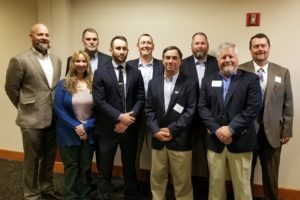 A majority of Board Members shall be Class A or Class B members of the Golf Course Superintendents Association of America. Two Affiliate Members will serve in a voting capacity on the Board. They shall be elected for two year terms by the voting members. The terms shall be staggered so that one affiliate member is elected each year. The election of the Directors shall be made in the same manner and at the same time as the Officers. Directors terms of office shall be for two (2) years. Any vacancies which occur in the Board of Directors shall be filled by the Board of Directors, and in the event of their failure to act, then the members at any regular meeting or special meeting may fill the vacancies. The Board of Directors shall be the governing body of this Association. The Board shall appoint the Secretary and Treasurer. The Board of Directors shall meet at a time to be designated or determined from time to time by the President. Special meetings of the Board may also be called by the President, Vice President, Treasurer, Secretary, or any three (3) Board Members. A majority of the members of the Board of Directors at their meeting shall constitute a quorum. At the discretion of the Board of Directors, the Association may employ or contract an Executive Director and/or Media Director. Their duties and responsibilities will be determined by the Board of Directors. These By Laws may be repealed or amended, or new By Laws may be adopted at any meeting (regular or special) of the membership by majority vote, or by two-thirds vote of the Board of Directors at any special or regular meeting, provided that a copy of any change shall be mailed to the last recorded address of each voting member at least thirty (30) days prior to the date of the meeting. The Code of Ethics for this Association shall be the same as the Code of Ethics for the Golf Course Superintendents Association of America. 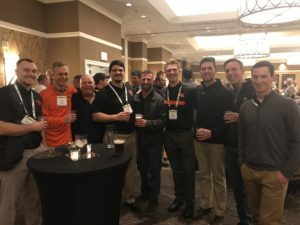 The purpose of this statement is to openly address the OGCSA policy on any commercial intent to advertise or promote products at regular meetings of the membership. The OGCSA Board continues to determine that the purpose of our membership meetings is to focus on education and Association business. In doing so, commercial promotion is not expected, encouraged, nor allowed. In this way no unintentional bias or embarrassment to any commercial entity will occur. We welcome your membership and your attendance at meetings and we appreciate your generosity and participation at our events. Indeed, we all work to provide each of you an excellent selling opportunity at the biennial equipment show. Thank you for joining us. You are a vital part of our organization. The Association shall indemnify any and all persons who may serve or have served at any time as officers or directors, and their respective heirs, paid administrator, successors and assigns, against any and all expenses, including amounts paid upon judgments, counsel fees and amounts paid in settlement (before or after suit is commenced), actually necessarily incurred by such person in connection with the defense or settlement or any claim, action, suit or proceeding in which they, or any of them are made parties, or a party, or which may be asserted against them or any of them, by reason of being, or having been, an officer or director of this Association, except in relation to matters as to which any such officer or director, or former officer or director, shall be adjudged in any action, suit or proceeding to be liable for those acts and omissions arising out of his or her willful misfeasance. Such indemnification shall be in addition to any other rights to which those indemnified may be entitled including such immunities under any law, by law agreement, or otherwise. In the event of the dissolution of the Association, after all liabilities and responsibilities have been met, its assets shall be distributed in accordance with the Internal Revenue Code concerning its exempt status or in accordance with State law. The decision of distribution shall be made by the Executive Committee.